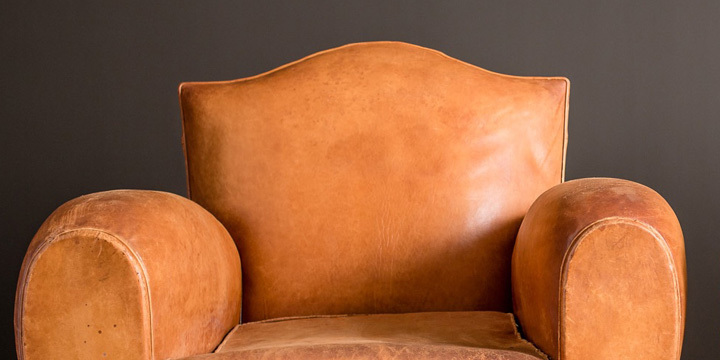 Since their introduction in the late 1920s, French Club Chairs have made a huge impact on design. Like most new styles and designs, they borrowed elements from previous periods to appeal to a wide audience. 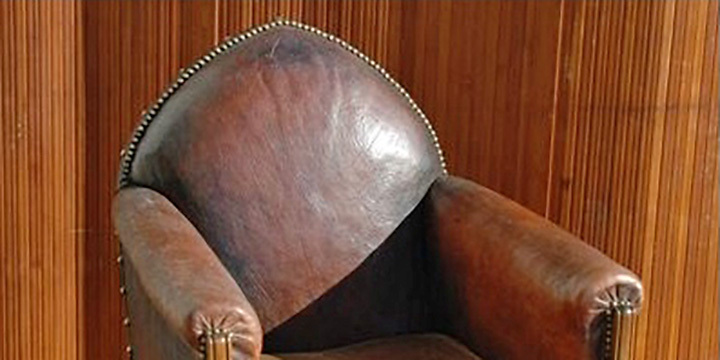 For example, the velvet and mohair cushions that were often on the French Club Chairs from the 1920s - ’30s. 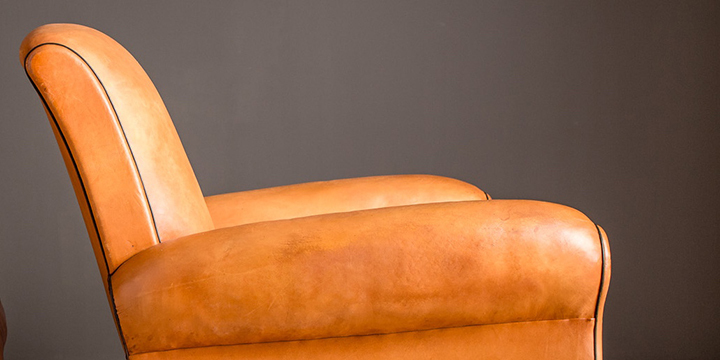 As they evolved and designers like Jacque-Emile Ruhlman created his version, the chairs took on more striking lines and made their own statement stylistically. 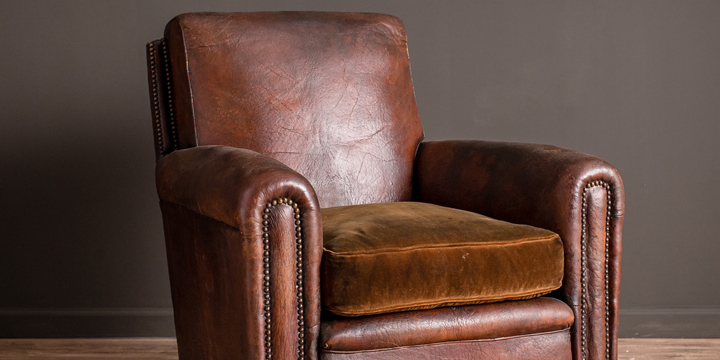 One can only imagine there were many different designers, whose names are lost in time, that played an active role in crafting such an amazing array of Club chair styles. 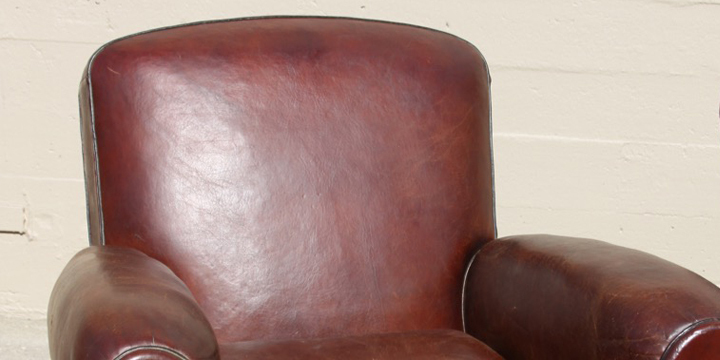 There are many different styles of French Club Chairs and throughout the years we have had an example of most models pass through our hands. We love it when we see a new style that has not crossed our path before. There are few “industry standards” on what to call them and many have morphed from their producers original name to more organic names that identify them by their form. 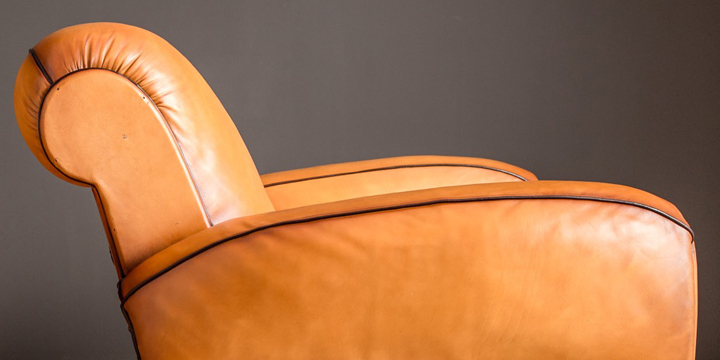 Mustache Back chairs resemble closely the curvaceous top line of a moustache. Gendarme Back have a simple arch in the middle of the back with a gentle slope on the sides. They are named after the French Policeman’s hat, which was in turn was modeled after Napoleon and the French Army chapeaux. 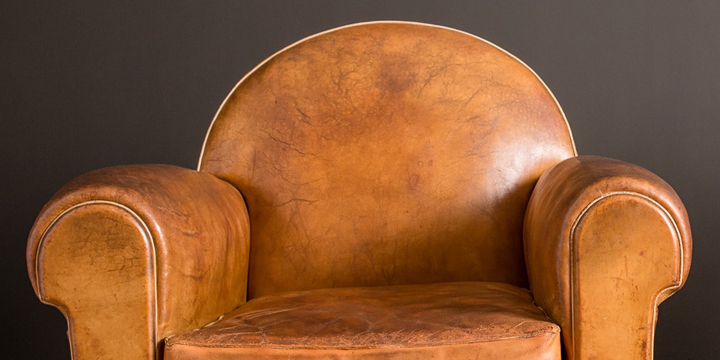 Cinema are the classic round back, as in Rhulmans early design, emulates the style of seats found in 1920s cinema or theatres. Square Back are kind of self explanatory. 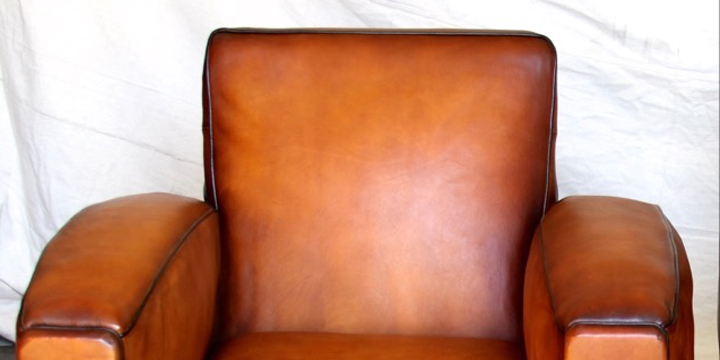 Library Back is our designation for the square back , but with softer rounded shoulders. 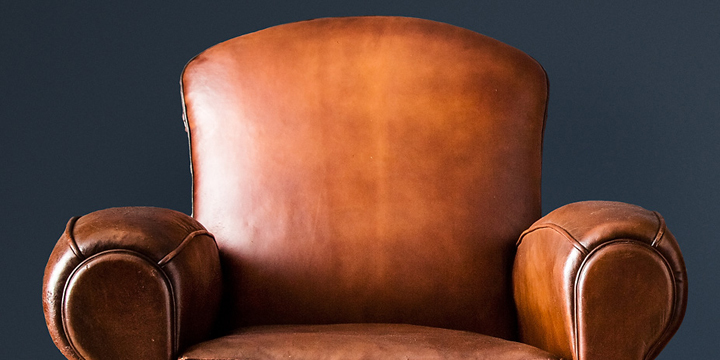 Roll Back have a rather large roll of a head that swoops to the back of the chair making for a dramatic effect. Slope Back have kind of a pinched off back that finishes in a gentle or soft peak. Gothic or Steeple have a back that resembles a gothic stain glass window or a church steeple. The Ambassador is the given name from the producer Erton, circa 1930s -’40s. It combines the classic huge rollback head with big arched arms that swoop from the ground to the back in one clean line. Flair or Heart Shaped feature a back that is narrower at the bottom where it meets the arms and flares out toward the top. 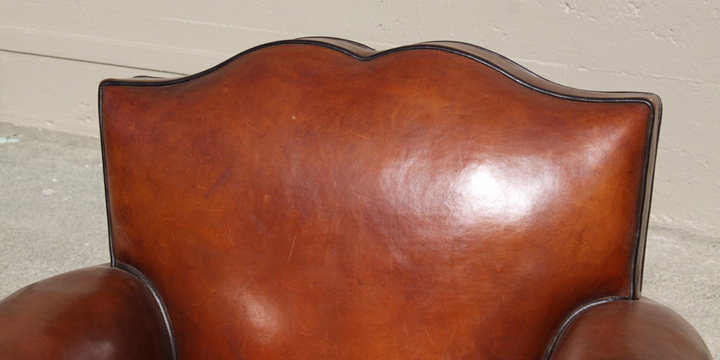 Trefle or Scallop Back this tri-lobe style usually hail from the 1930s, they feature three equal humps on the back or one larger and two smaller on either side. 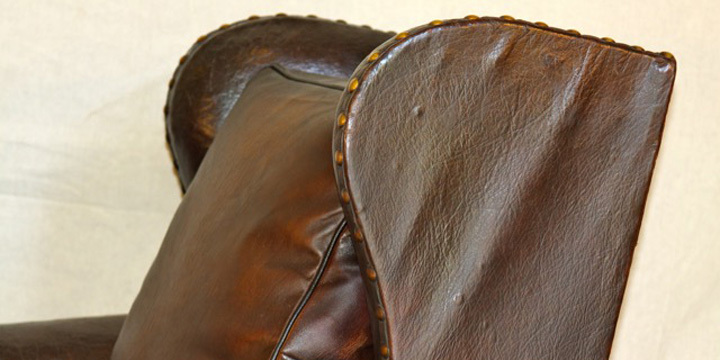 Nailed Head or 1930s covers a variety of chairs from the 1920s and 30s that feature most of the seams dressed with brass tacks. 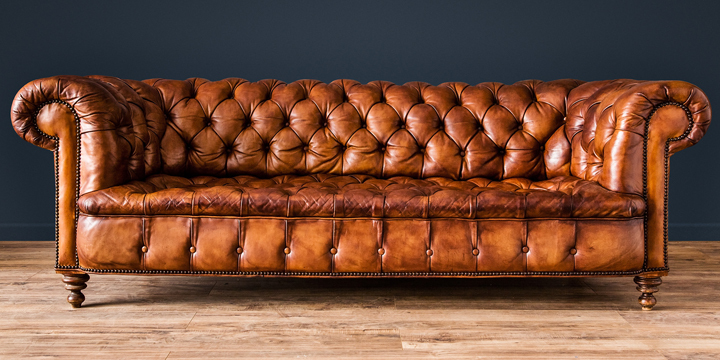 Chesterfield Is also know as Diamondback, where lots of leather is folded, pleated and secured in a geometric pattern by a series of leather covered buttons. 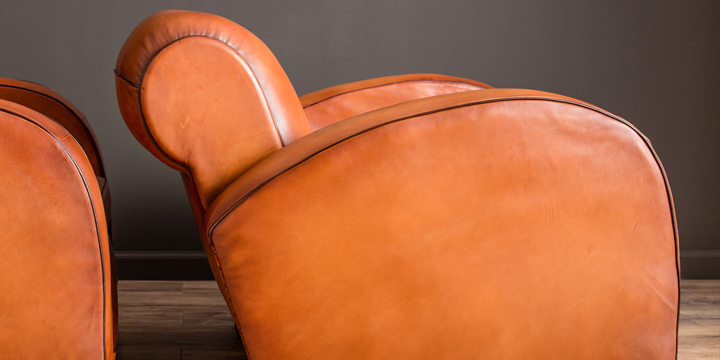 Wingback Wingback is a chair that has wings or extensions literally on the side of the back. 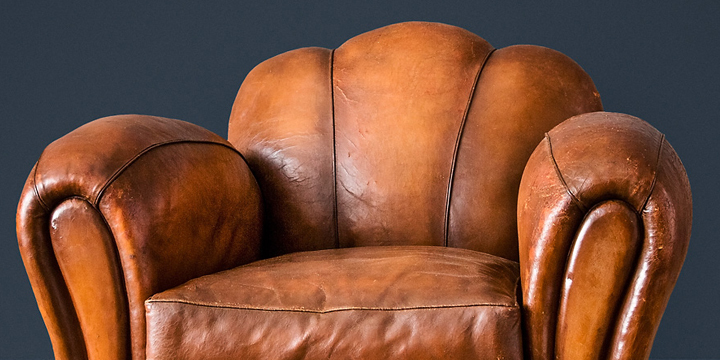 Their original purpose was to stop drafts and capture the heat of the fireplace making for a cozier seat.